I'm fitting some sliding wardrobe doors into this opening. 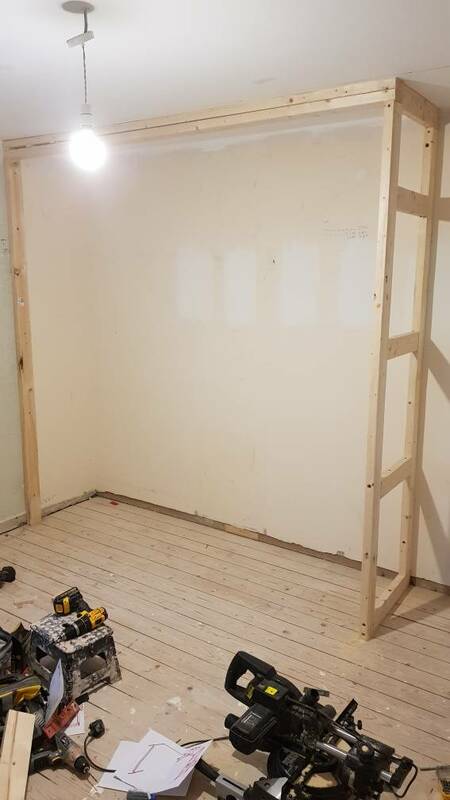 The plan is to plasterboard most of it apart from the side which has a side panel in the same colour as the wardrobe doors. Can I ask have I built it properly? Just a bit concerned the plaster may crack if there is movement in the wood frame with the slats running down it when the wardrobe doors close against it. I've constructed wardrobes like that but have tended to use mdf rather than plasterboard . 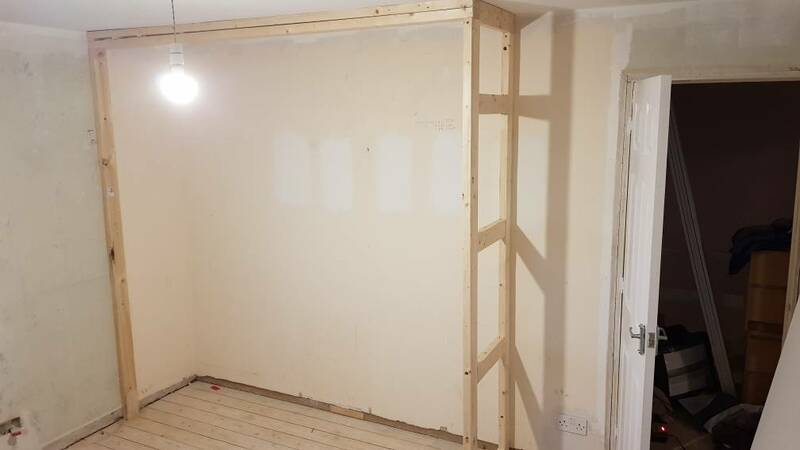 I take it that it's the inside of the right hand frame you are talking about plasterboarding ? I would be plasterboarding/plastering pretty much all of it apart from the right hand side which will have an end panel.